Clicking on the social media share buttons can help Ruth, achieve the goal quickly,please share. Accidents that lead to extreme deformity, loss of ability to see or use the mouth, is not what anyone wishes for. Ruth Aboh, a 48 year old mother of 3 who has been single-handedly taking care of her kids, could not have imagined that she wouldn't be going home to see her kids. Ruth traveled to Kogi State on the 10th of November 2017 for her nephew’s wedding, after the successful event, she boarded a bus to Lagos. 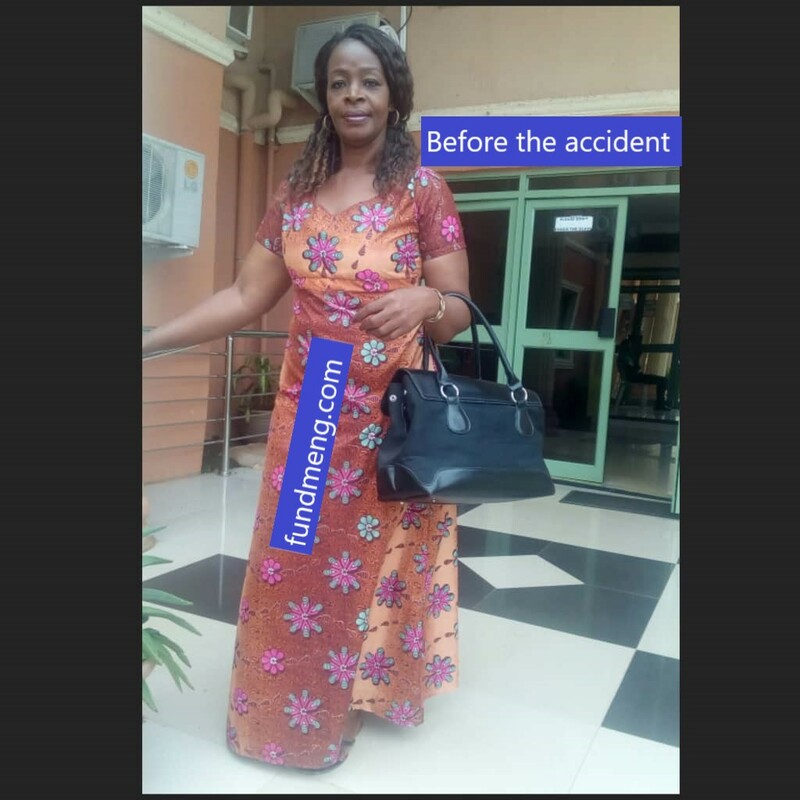 She and other occupants of the vehicle were involved in a fatal accident that claimed 8 lives on the spot along Okene-Lokoja road. 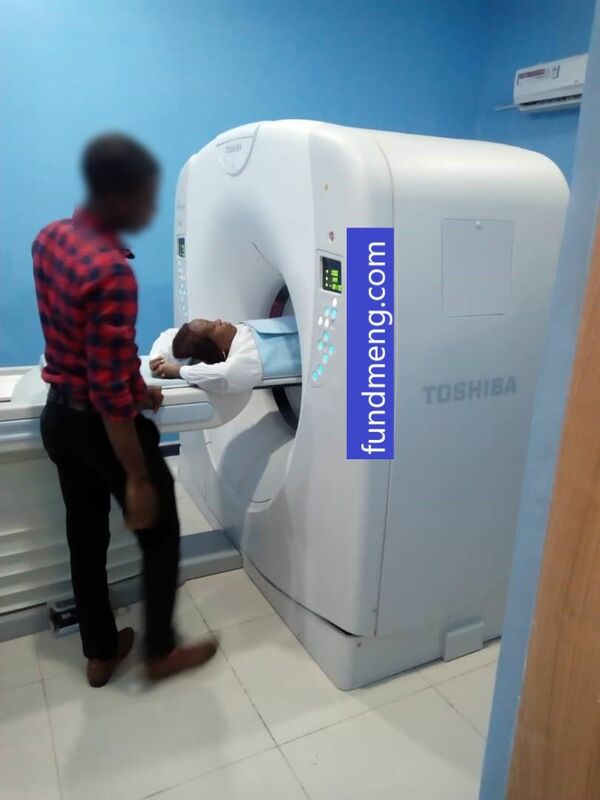 Ruth and other survivors were critically injured and were rushed to Federal Specialist hospital Lokoja, 2 more survivors died at the hospital, doctors battled to save her life, after spending a month in the hospital at Lokoja, she was transferred to National hospital Abuja. The doctors believe that after these surgeries, she would get back on her feet again and back to her business where she can take care of her children properly. 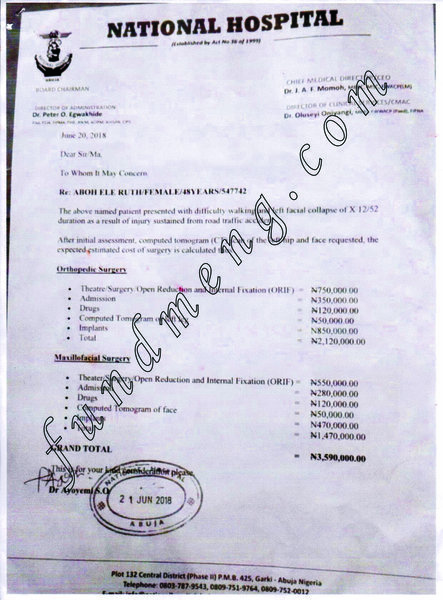 The total amount needed for both surgeries is 3,590,000.00 Naira. 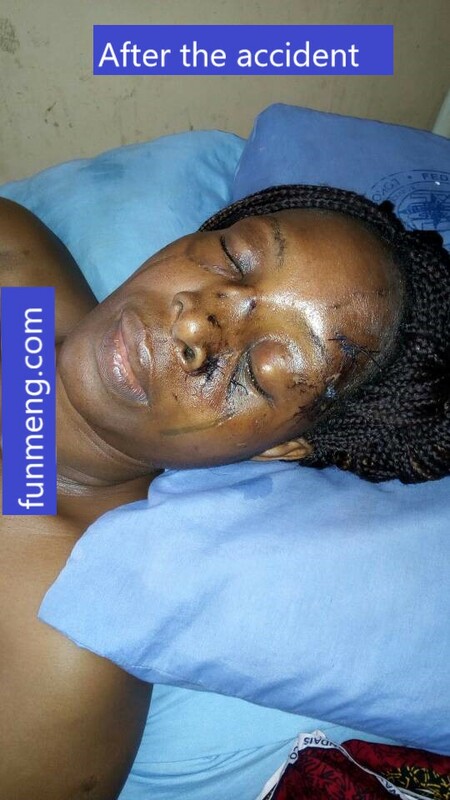 Ruth’s condition is critical, she needs to undergo these surgeries as soon as possible. She cannot eat by herself, has difficulty in walking due to broken bones . I use this opportunity to appeal to anyone and everyone reading this, to help in any little way. She has emptied her account, family members have done all they can. Let us come together and help this single mother of 3 get her life back, her children have all been crying “when is mummy coming home?” we don’t know what else to tell them.